YONKERS, N. Y., July 3. 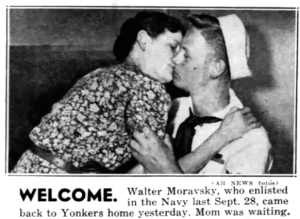 (AP) – Walter Moravsky, 15-year-old Yonkers schoolboy with eight months’ Navy service and an honorable discharge is worried now. He’s afraid he won’t be promoted in school. 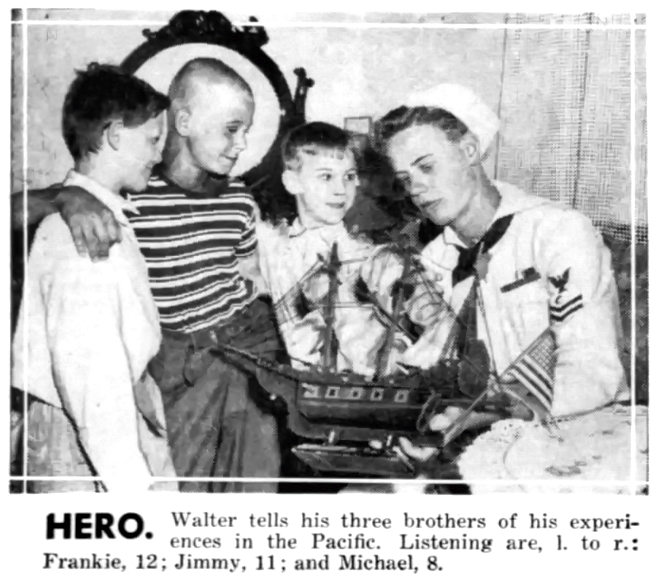 His service included five months on an aircraft carrier before his commanding officer finally found out he was 15 instead of the required 18. Worrying Walter was the thought that he might be put back in the eighth grade. 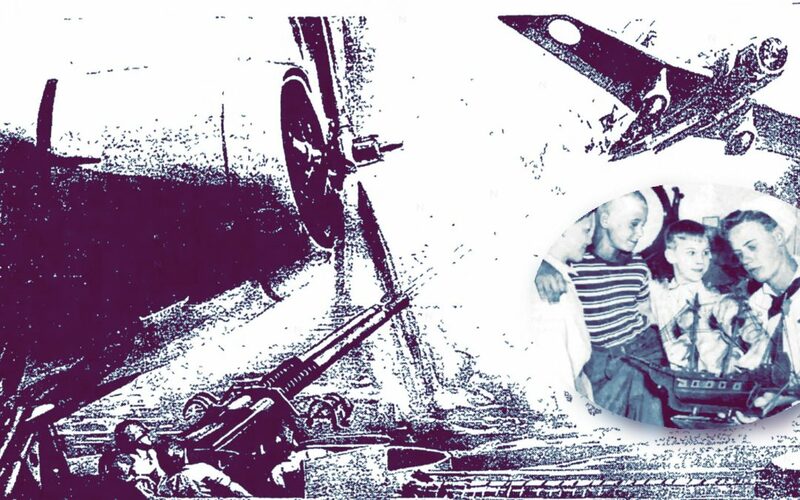 Torpedoes, Machine gun fire and bomb bursts – including one that gave him a nasty shrapnel wound – didn’t bother him much, he said. He is six feet tall and husky for his age. 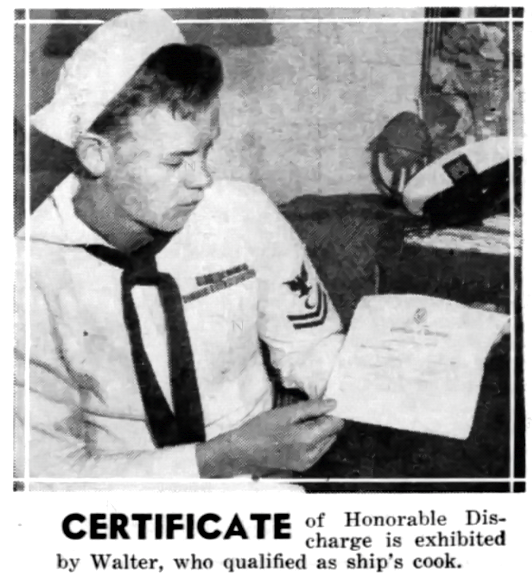 During his service he advanced to seaman first class. Until battle stations was sounded, he was a baker. Then he was a gunner. He was on deck firing at the Japs when he got the shrapnel wound.